FERRARIO - [Easter Island ]. FERRARIO, G. - [Easter Island ]. [Easter Island ]. - FERRARIO, G.
Title : [Easter Island ].. 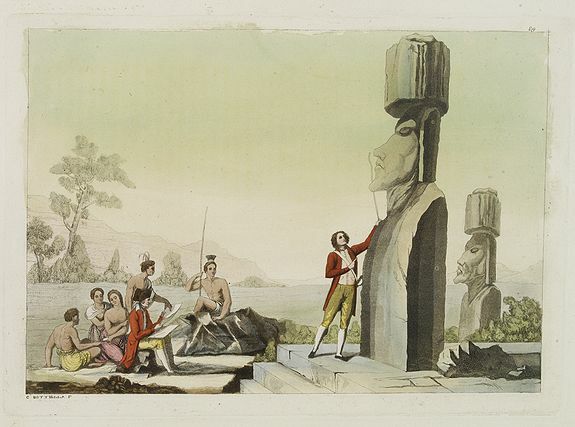 Description :Aquatint depicting men discovering the Easter Island Statues engraved by Carlo Bottigella. Plate N° 89. Condition : Very fine condition.